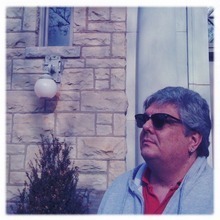 I am a writer/poet living in Central Missouri with my wife, three cats and an overactive imagination. I've had a few poems appear on various web publications, am a frequent contributor to The Book Times, and have a poetry collection titled "Tender Mercies" available. I've given thought to mapping the inside of my eyelids, but it requires closer study. I write because I can. I enjoy it, it's relaxing in a panic inducing fashion. Keeps the nightmares at bay. Thanks so much for your insightful comment and fave on "Slanting Rain". Much appreciated. You must log in to write on Mark Stratton's wall.